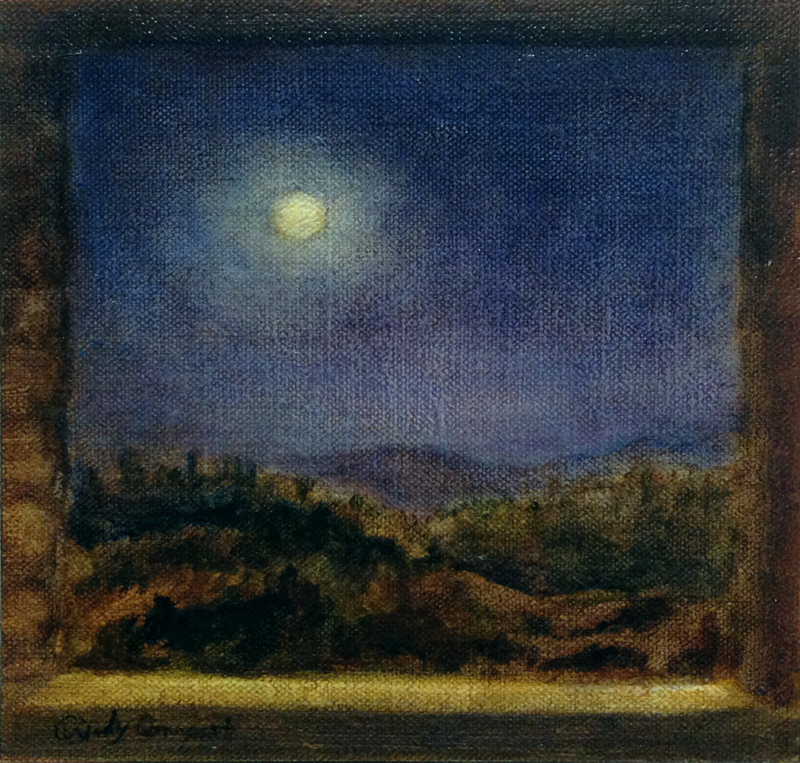 A moody dreamlike vision of Tuscany in the moonlight. Painted from memory based on a painting trip to Tuscany where I stayed in a Pensione overlooking the Italian countryside. Very early one morning, I opened the window and saw the glorious moon illuminating the landscape.